For the last few weeks my lips have become really chapped and sore. Call it the dip in weather, office air con, whatever you like, the fact remains that no matter what I do they just won’t moisturise properly. I’m a huge fan of Carmex lip balms-I love their waxy texture-it really makes my lips feel like they’re being hydrated and protected at the same time. However not even Carmex was working this time. So faced with getting Blistex which I’m not a huge fan of I decided to ask around. I thought it was worth checking out so off I popped to John Lewis after work and parted with £9 for the lip balm tube. It seemed quite expensive at first and the cleansers at £44 confirmed what I thought, but to give it it’s due this lip balm was my saviour…for a few days at least before the same problem crept back up. Although I’ve had to switch to Blistex for intense moisturising i do really like Dr Hauschka. I only need to top it up every few hours (I don’t, but the lasting moisturising effect will last longer than most balms). It even lasts after drinking and completely nourishes the lips. Not only that but it smells amazing! I can easily carry it round with me and think it’s well worth the money, I’d highly recommend this product. 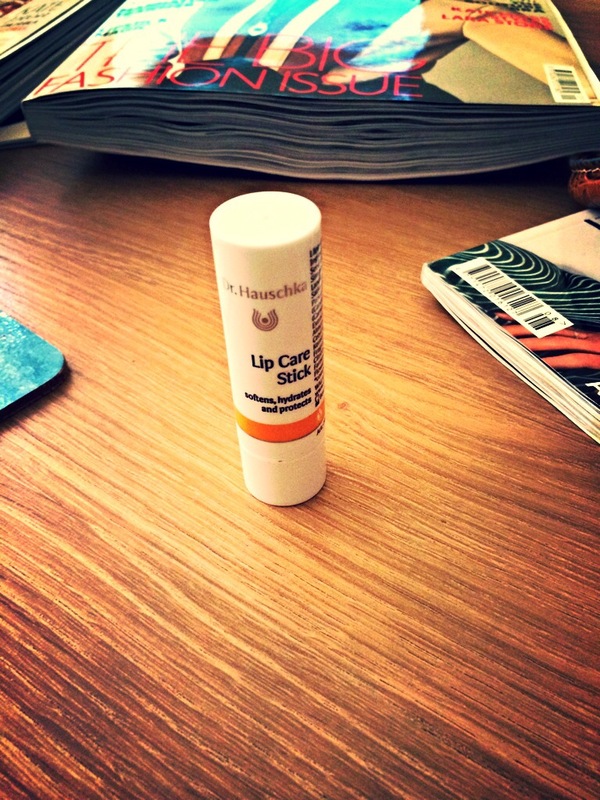 Overall I’d give the Dr Hauschka lip balm a moisture-loving 8/10. However as the nights are getting darker and the cold weather approaches I’m starting to look into homemade lip balms using 100% natural ingredients…I’ll keep you posted!